The Modi-government will present the interim Budget 2019, which would be the last one in their present tenure. Even though its focus has been on digitization, ease of doing business in India and substantial reformative measures, this year we can expect more clarifications and rationalisation of the existing provisions rather than major reforms. 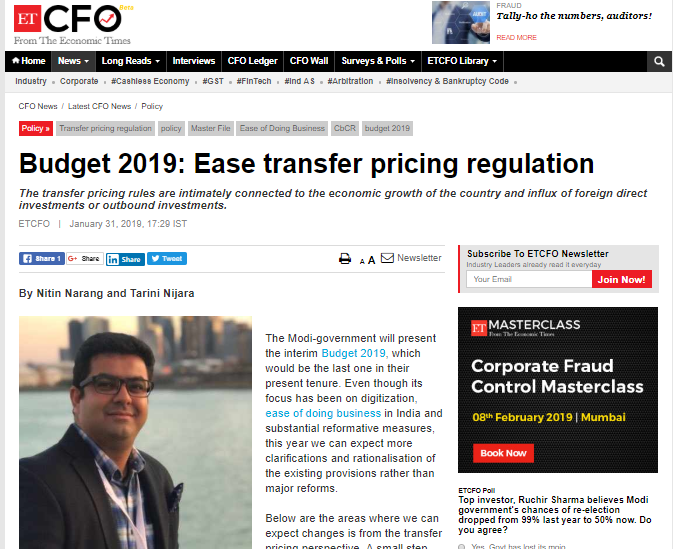 Nitin Narang, Partner and Tarini Nijara, Director – Transfer Pricing contributed an article on The expectations continue… Transfer Pricing and 2019 Union Budget for ET CFO.